In the mid-sixties, the Detroit Horsepower Wars were getting serious, and with the runaway sales success of mid-sized sporty cars with big V-8 engines, bigger was better – both in performance and eventual vehicle sales. 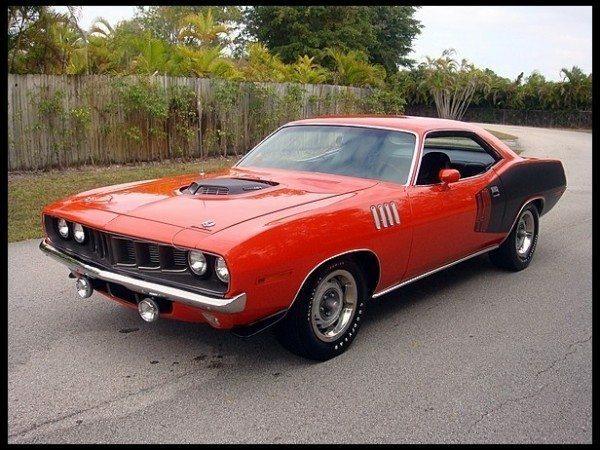 Cars like the Mustang, Camaro, Challenger, Chevelle, and ‘Cuda would eventually all become sales leaders, luring younger buyers into the showrooms with performance as the bait. So, for the next few Tuesdays, we’ll post a Facebook photo of one of the 8 biggest Detroit-built V-8 engines ever built, and ask you to identify it and provide the highest SAE horsepower it produced. We’ll take it easy on you for this first one – and WARNING: SPOILER ALERT – you can find the correct answer below: Here’s our first Big V-8. With the success of the Chevrolet 409, GM was planning to unveil the 427 for the 1966 model year. Ford had already released their 427 in 1965 to do battle with the already very popular Chrysler 426. Chrysler responded by raising the bar another notch to fight the competition, and developed the 440 V-8 engine for 1966. 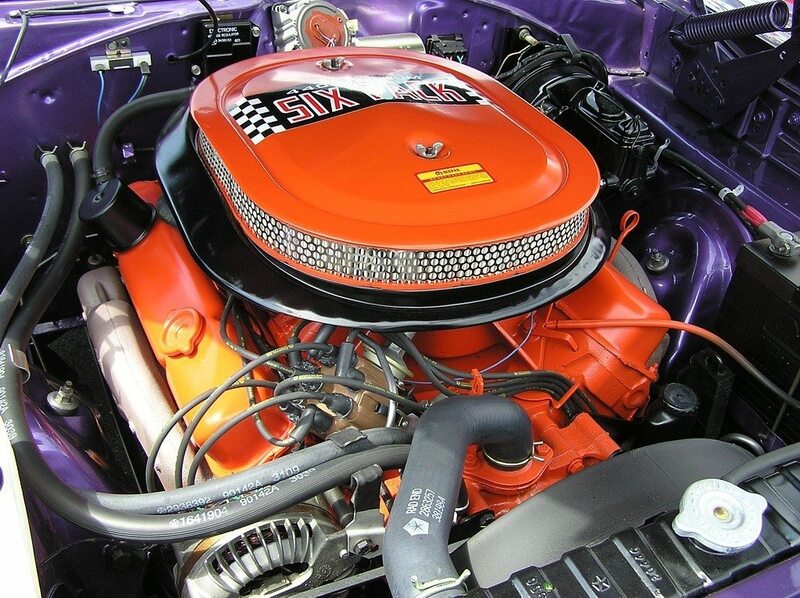 The Chrysler 440 V-8 engine was built from 1966 to 1978 and became one of their most desirable power plants. It was also the last Mopar engine that was over 400 cubic inches. 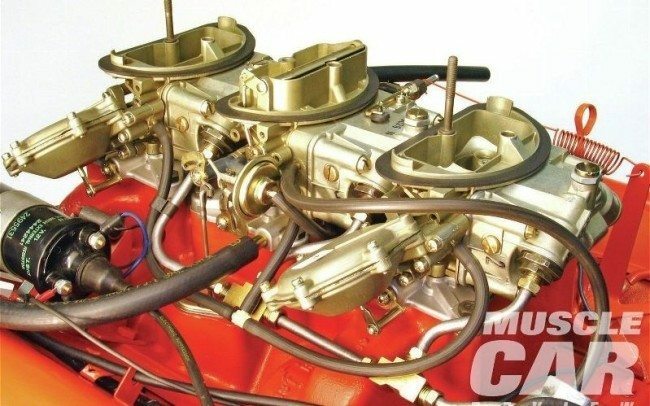 For 1972 all engines, including the 440, featured lowered compression, more conservative cam timing, and other changes to comply with the new tighter emissions regulations. The 1972 440 produced only 335 HP gross, which equals 225 HP under the new SAE net rating system. Engine power dropped a bit each year until 1978, when it had fallen to 255 HP even in police specification, and was limited to use in large sedans and specialty police packages. Are you having trouble getting your high horsepower collector insured? Let us show you how we are more than just another collector vehicle insurance company. We want to protect your passion! Click below for an online quote, or give us a call at 800.678.5173.